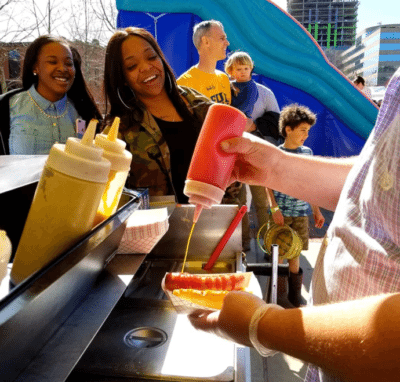 This used hot dog cart for sale in Marietta, OH is a great way to start a business, raise money for a cause, or plan on catering large groups, or want to make extra money. Capable to set up at any event in any location with easy. 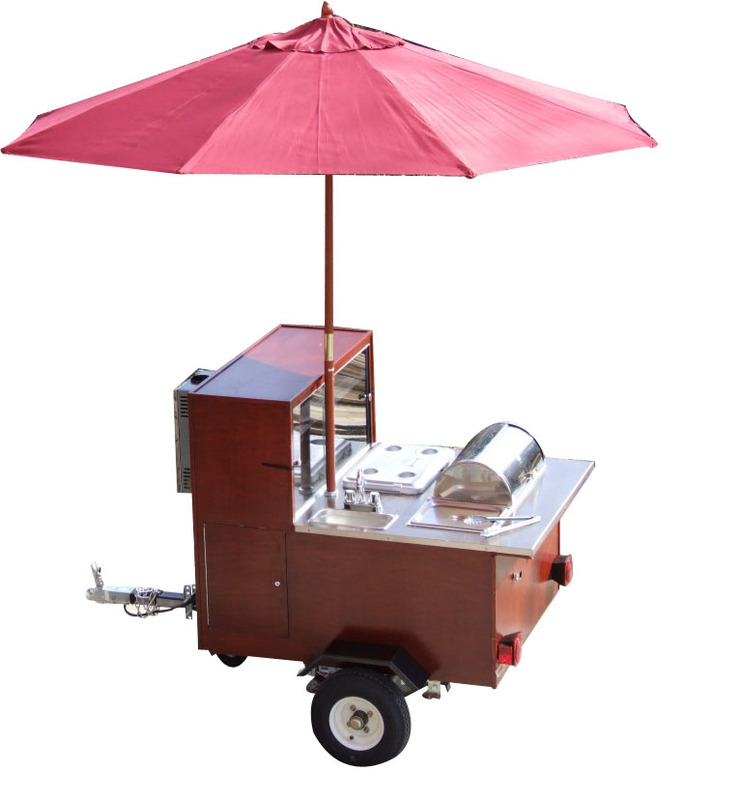 Maneuverable mobile restaurant is appx. 250 lbs. The cart is built from 18 gage stainless to prevent scratches, ect. This mobile unit comes equipped with 5 steamer pans that allow you to serve any size of crowds. This unit has the with the two half size pans and 5 full-size pans to prepare sauces, vegetables, gravy, soups, ect. allowing you to create a variety of dishes at one time. It has the capacity to prepare 150 chicken stripes, 99 hot dogs/polish sausage and seafood more steaming at one time. You can prepare beef/pork roast, shredded barbecue dishes, roasted potatoes, mash potatoes, ect. The unit is fueled by a 17000 BTU burner which has 3 adjustable control knobs to keep pan set at the correct temperature based on the food in the pan. The built in ice chest cooler, which holds 200 can/bottle beverages and ice at one time. Unit provides easy access to serve customers efficiently. 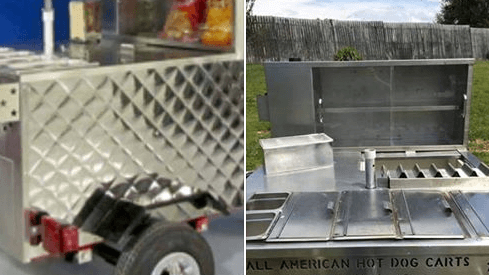 Mobile meets health inspectors requirements for mobile restaurant as well as any restaurant with the 3 sink compartment for washing dishes and a separate hand sink built into the All American mobile restaurant. Both sinks have hot and cold running water and 5-gal. fresh water and wastewater. Unit comes with the extras bun trays, utensils, coffee/tea maker, napkin holders, umbrella designed for mobile, and more. Also, there is a larger commercial BlackStone Flat Grill sold separately.